Specifically, The Writer and Writer’s Digest. A few weeks ago, I also perused the 2011 Writer’s Market. Made note of clients for both freelance and fiction markets. I am curious about something. This is almost 2011, and e-mail has been in common use for more than 20 years. People can send things in plain-text formats. Why on earth do so many magazines and publications still insist on snail-mail submissions? Two years ago, I wanted to submit a story Fantasy and Science Fiction and was told the manuscript had to be mailed in. Today’s perusal into one of the magazines revealed that Alfred Hitchcock’s Mystery Magazine still insists on submissions sent by mail. So, instead of making a submission that takes mere moments to be sent and received, they insist on the archaic way that takes days. Richard Zowie is a writer. Send comments to richardzowie@gmail.com. A fellow Christian recently asked me about what it would take to get a writing career started. Nolan, who graduated from Pensacola Christian College a few years before I did, has been in the ministry. A look at his essays and his blog show he is a very gifted writer. The ability to write will most certainly not be a problem for him. I advised him to regularly peruse through both Writer’s Digest and The Writer magazines along with check out the markets listed in The Writer’s Market. Be Professional. You are there to do a job. Treat the subject with respect–especially when they have opinions that strongly differ from yours. You don’t have to agree with them, but you do have to represent them fairly. When I think back to H.L. Mencken and his very slanted reporting on the 1925 Scopes Trial, I not only cringe at him, but cringe to think there are writers today who idolize his reporting style. Be Polite. Being friendly can go a very long way, especially if you deal with one source regularly. By being polite, chances are better they’ll start opening up and may even give you an exclusive or point you towards the direction of others who will. Nobody likes to be treated condescendingly. Be to the Point. Assume the person you’re dealing with has a very busy schedule. After initial pleasantries, get directly down to business. Avoid rabbit trails, something I’ve had to learn the hard way in the past. Be Persistent and Proactive. I like to joke that procrastination (another P) is the eighth deadly sin, and in my life I’ve found this to be true. Lately I have learned that creating a list and telling yourself no internet surfing until those activities are done will do wonders. Each day go over ideas, look up markets for them and query the editors. Note which prefer phone calls and which prefer e-mails and what kinds of e-mail responses. You have to want an assignment more than any other writer and you have to believe–no ego intended–that you are the best writer out there. I need to renew my subscriptions to ‘Writer’s Digest’ and ‘The Writer’! 1. Let them go indefinitely. This would be great if any of the local libraries carried Writer’s Digest or The Writer. Alas, they don’t. In our area, maybe two libraries carry The Writer. But the libraries all do seem to offer periodicals like People, Cosmopolitan, Sports Illustrated and other publications. If I chose to drop any hope of renewal, I’d have to go to the websites and gleen what I could. 2. Renew them when money comes in. We’re hoping to file our tax returns in a few weeks, so conceivably, getting my subscriptions renewed could become a belated birthday present to myself (I’ll turn 37 on February 6). 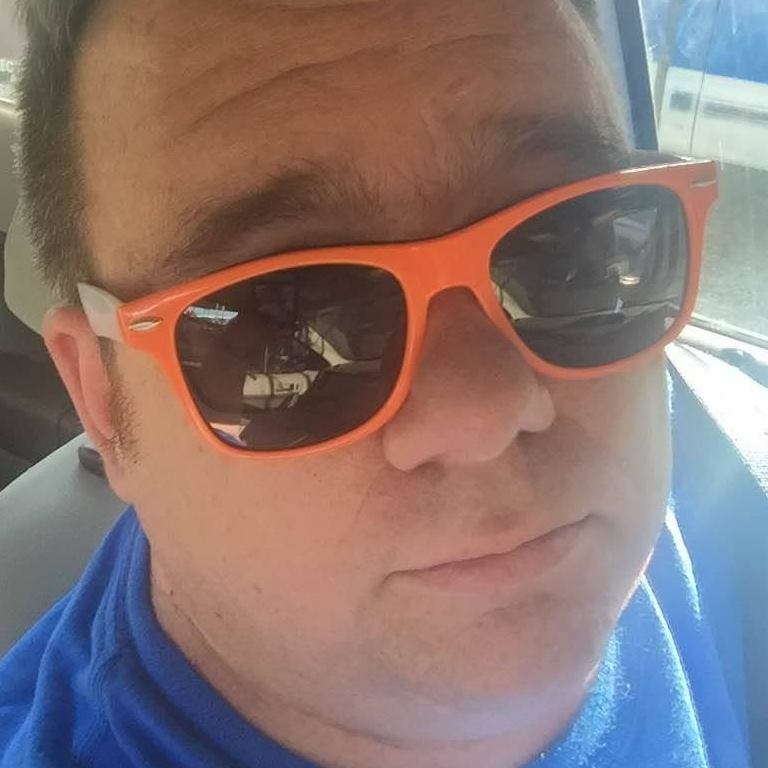 Richard Zowie is an active blogger with several blogs. Post comments below or e-mail him at richardzowie@gmail.com. I e-mailed them this week to report another issue missing, this one July 2009. The first time they credited my account with an extra month were prepared to send me another copy. Lo and behold, rummaging through my book bag I found it! I called them up and told them to cancel my complaint. They were very nice about it, although I felt very sheepish. I recalled how one classmate my senior year of high school told our teacher someone had “abducted” his pen; then he looked amongst his other pens in his book bag and—you guessed it—found his pen. If you love to write but don’t have a subscription to The Writer (or even Writer’s Digest), I strongly recommend you do so. I loaned out older copies of Writer’s Digest and The Writer to a schoolteacher in Oxford, Michigan. The teacher’s a great guy. I had to be careful, though, when selecting which magazines to give out. 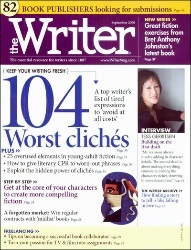 One back issue of WD has a feature story about how to write effectively in the erotica genre. Not exactly something you’d want a 12-ish student reading about, huh? The deadline was January 10, but I went ahead and sent my submission to the Writer’s Digest writing prompt. The one for February 2009 where you have 750 words to write about something terrible happening to three youths in a local swimming hole. Did I make revisions? Did President Bush attend Yale University? I must’ve reworked this story at least 20 times, tweaking here and there, rewriting a character, trimming words. Overall, I thought my effort was pretty good and made for a pretty good piece of suspense, but there’s only so much you can say in 750 words. Once the deadline is passed, I will publish exerpts of what I wrote. Do I expect to win? I don’t know. Interestingly, while writing for this Writer’s Digest contest, I came across a great nugget of advice from an archived article in The Writer magazine. Two things: first, don’t fall so much in love with your writing that you ignore good, constructive criticism. Second, don’t be so blind towards criticism that you take to heart advice that turns out to be useless. As far as useful advice, someone asked me if it was indeed possible for a panicked teenager to hold their breath underwater for two minutes. After some thought, I changed it to one. Useless advice: someone told me the idea of tree kids in a swimming hole and being joined by an older man who uses the small pond as a makeshift bathtub had sexual overtones. To me, that was reading way too far into the story and makes me wonder if the person has some odd fixation. From here, I move on to other writing projects. My favorite time of the month, no doubt, is when Writer’s Digest and The Writer magazine arrive in my mailbox. Always gives me hope and encouragement, like that Stephen King book On Writing: A Memoir of the Craft (which is boxed up somewhere in our garage, darn it). This month they were talking about websites and blogging and how both are important to writers. So, I think what I’ll do is keep posting to this and two other free blogs to get an idea of which I like the best. If you’re reading this, tell me what you like about my blog here as well as this blog server. Especially if you’re a writer.